Today, December 14th, over one-hundred and fifty years ago the first classes were held in the basement of a yet-complete building atop a hill in section 16, township 39. Milton Township in Dupage County, like many other townships in the burgeoning Midwest, took advantage of legislation that enabled townships to use land in section 16 for schools. Eventually, the stone building, built with limestone excavated from a quarry in nearby Batavia and hauled to the site from the train station by Gaius Howard, measured forty-five feet by seventy-five and consisted of two stories above the basement. The cost of the structure was about $10,000. During the first year the student body numbered 140 students and the second year the number rose to 270. The first instructor and President was Rev. John Cross. Little is written about Cross, but much could be noted. His work in establishing the Underground Railroad in the Midwest is cited in short entries in dozens of works. His fuller story awaits a proper telling. The following year, after Cross left to help begin Amity College in Iowa, Rev. C. F. Winship took the helm for a year, after which he became a missionary to West Africa. Rev. George P. Kimball, fresh from Amity serving with Cross, taught alongside Miss Pierce and Rufus Blanchard until1855 when, as Rufus Blanchard relates in his county history, Rev. 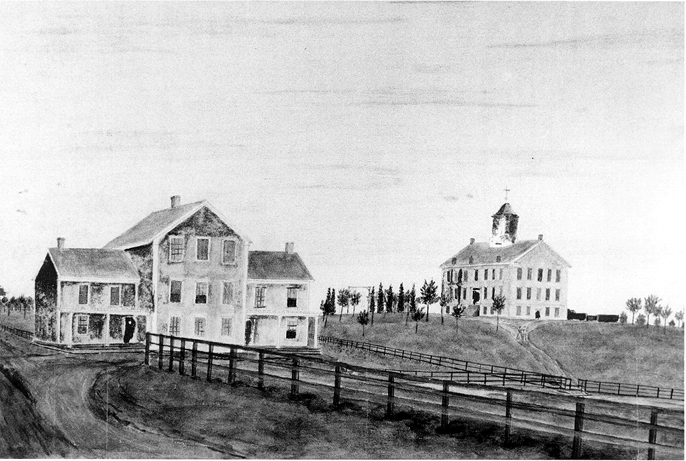 J A. Martling became “Principal of the first collegiate year,” as the Illinois Institute had bee chartered by the State of Illinois as a college in 1855. Professor Freeborn Garretson Baker filled in, as well, until September 1856 when Rev. Lucius C. Matlack, who had been chosen president some years before, took on his role as president. In January, 1860, President Blanchard entered upon the duties of his office. The name of the institution was changed to Wheaton College, and the charter was amended by the Legislature of 1861. The first class of seven young men, all of them from the regular college course, graduated on the 4th of July, 1860. Wheaton would reconnect with the Wesleyans decades later when the Wesleyan Theological Seminary opened in 1881. It closed in 1889 after financial and personnel difficulties.